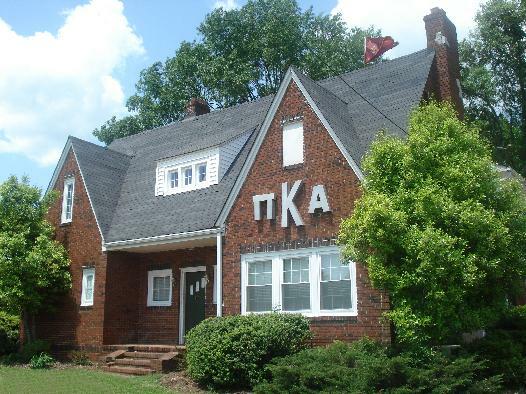 The Clemson Pikes are one of the only Fraternities at Clemson that have a large house close to campus. The Chapter also takes great care over the house and are constantly working to improve it even more. The house has recently been through major renovations totaling over $50,000. We would like to thank Brother Chuck Weaver for all of his help with the renovations. Click the picture below to see the article printed in the Shield & Diamond. Check out the house tour below. This year will mark the first Eta Alpha Alumni Project Campaign. The campaign will raise money for a new brick sign to be built in the front yard of the new Shack to be placed looking towards Highway 93 to be seen by vehicles heading towards Clemson's campus. The sign will consist of brick with a stone etching of the fraternity name on the front. The back will have a special marble slab consisting of the names of the Founding Fathers of the 2007 re-chartering, as well as the names of the original 1970 Founding Fathers. More information will come in the Alumni Newsletter as well as on this site as the campaign continues to grow and gather support. The Eta Alpha Housing Corporation is looking for interested alumni to become involved in the Alumni Housing Board. Positions would not require extension time commitments and would be a great way to get involved with and help better the Chapter.